Welcome to the Experience Arena Angertal - the embodiment of hospitality. Unforgettable moments for nature lovers, sports enthusiasts and families. 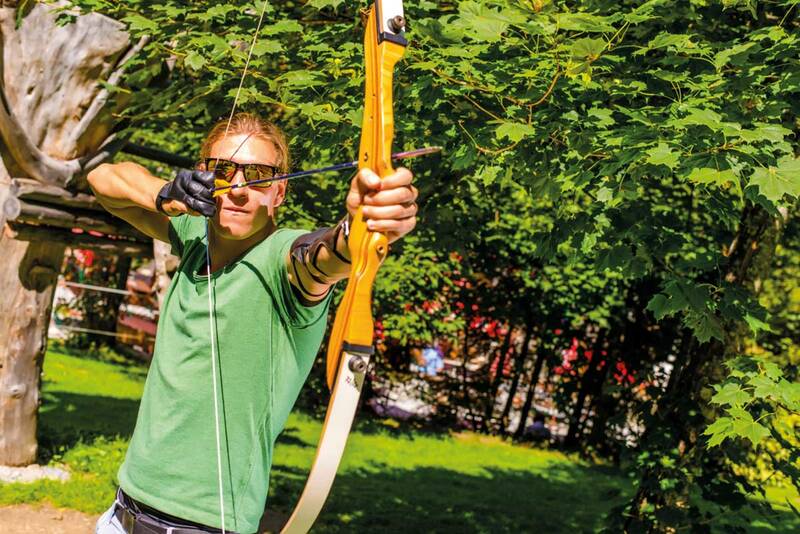 Enjoy fishing, hunting archery, panning for gold and culinary delights. Nice that you visit our Website - we would like to introduce you to our little leisure oasis in the beautyful Angertal. Fun and excitement for the whole family! Following some short instruction the adventure begins in the forest. The trail has real life 3D-animals to “hunt”. For every hit you get points. How many points can you make? All equipment will be provided for you. We wish you a good catch! This idyllic mountain lake promises fishing fun for everybody! Fish for trout in a beautiful mountain lake. An experienced fisherman will explain how to use the fishing gear and everything else you would need to know about fishing. eel the excitement of finding your own gold! 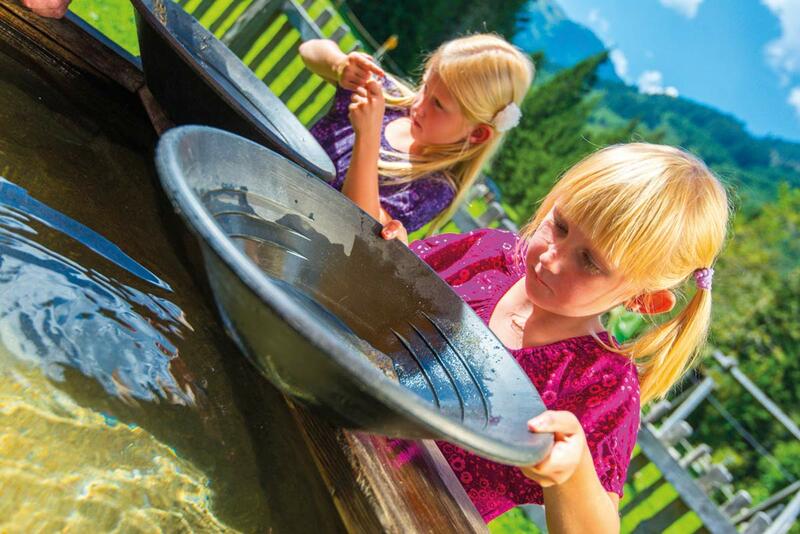 With the help of special gold pans you can separate the valuable Tauern Gold from the sands. An experienced Gold panner will guide you in the world of the precious metal. Good luck!